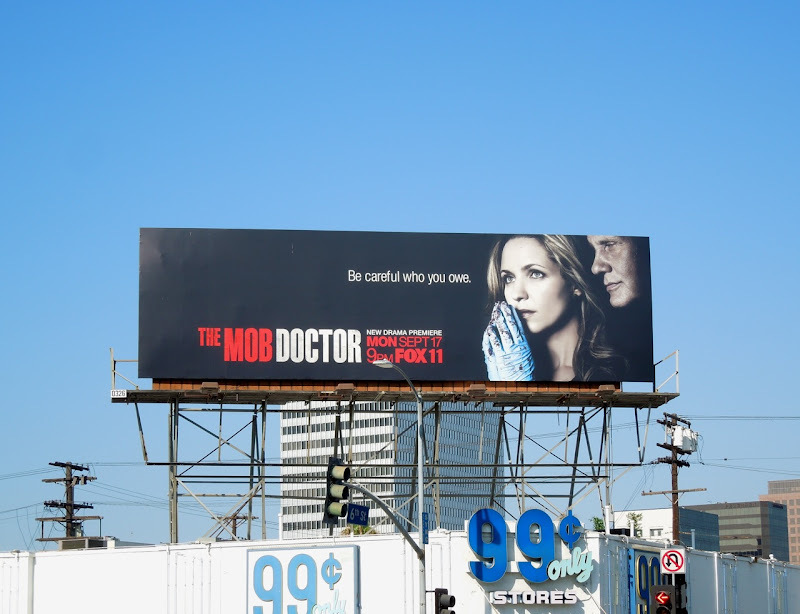 This billboard for The Mob Doctor gives new meaning to the expression 'blood on your hands', with Jordana Spiro playing a surgeon indebted to the mafia in a medical and mobster TV mash-up. In Fox's new drama, 'Dr. Grace Devlin' has to juggle her promising medical career with her brother's debt to Chicago's Southside mob. 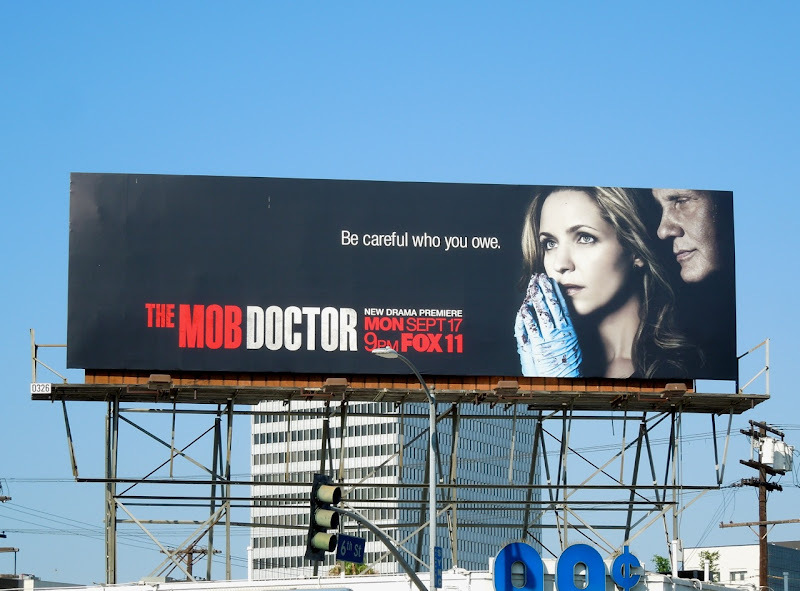 'Be careful who you owe' is right, no wonder she looks like she's praying in this simple, yet compelling ad. 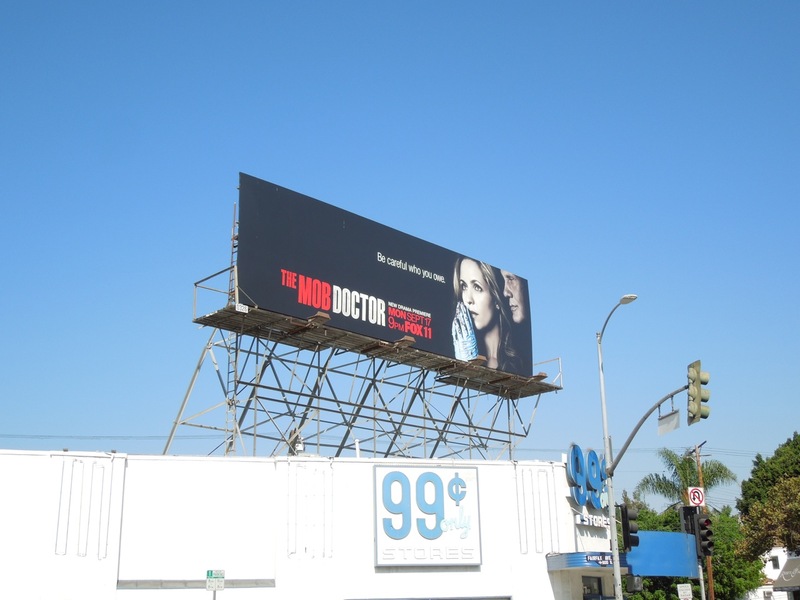 This billboard for the series premiere of The Mob Doctor was snapped along Fairfax Avenue at West 6th Street on August 18, 2012. 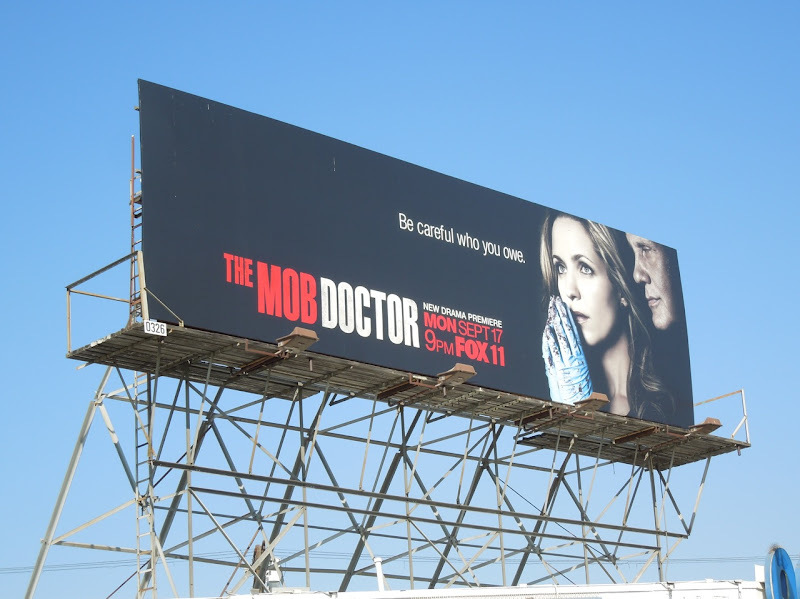 And that brings another week of new season debuts and returning shows to a close, but stick around in the weeks to come as there are many more exciting television billboards still to come here at Daily Billboard.